You may be reading this while tucking into a sumptuous feast of cold leftover turkey, ham, goose or turducken sandwiches, and sides of cold roast potatoes, cranberry sauce and Brussels sprouts, etc. We love Boxing Day leftovers in our house – my favourite is leftover cornbread dressing, which this year I spiked with black pudding for a Scottish twist on a Southern US staple. But this year I saved back some roast potatoes and ham to make this unbelievably easy soup. It’s no looker, at least the way I present it, which is just as I have made it, ready for serving to my family who of course don’t want to wait while I faff with styling and garnishes. The secret, I think, is the Dijon mustard, a healthy dollop of which balances the flavour of the sweet leeks and ham, and adds an extra piquancy that is often lacking in leftovers. I won’t natter on about it as I want to get back to watching rubbish telly and planning my attack on the after-Christmas sales. I am sharpening my already-pointy elbows in anticipation of the latter. Edinburgh shoppers, you have been warned. A quick and dirty soup using Christmas leftovers, and a little bit of store cupboard nous. A little less quick and dirty version would be to boil up freshly peeled potatoes and fry off some pancetta, but there is something satisfying – and let’s face it, smug – about transforming leftovers into something so quick and different. You could also add in some chopped cooked Brussels sprouts for another flavour dimension. Any vegetarians who have not been deterred by the title, this is just as good without ham. 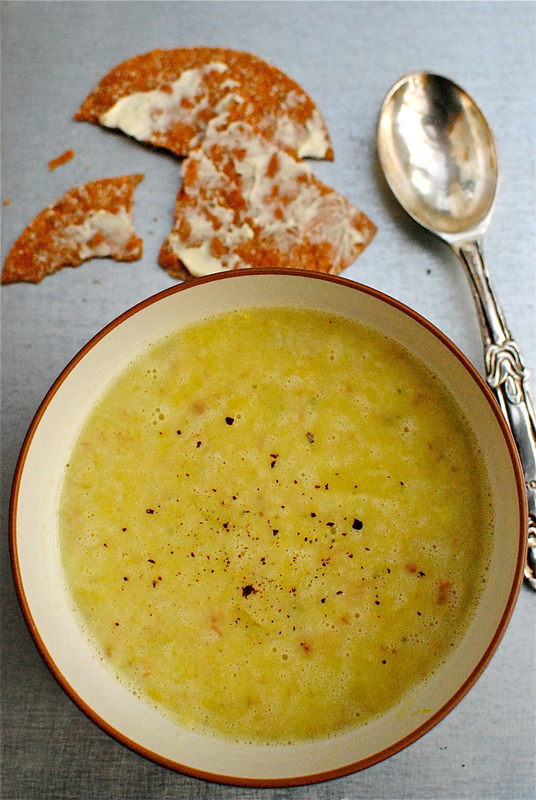 Heat the rapeseed oil in a soup pot over a low-medium flame and add the chopped leeks. Let these gently sauté before adding the chopped ham, turkey or pancetta. If using the pancetta, let this cook all the way. Add in the potatoes (roasted or raw) and stock, bringing to the boil before turning down to a fast simmer. Let this cook with the lid on for 15 minutes then pour in the milk and add the Dijon. Let this heat through before taking off the heat and blitzing with a hand blenderstick, leaving a few chunky bits for texture. Serve with freshly ground black pepper. Makes four good-sized bowls. Easily doubled. There is an art to turning leftovers into another meal. Reheating is easy. Easy to do and easy to dry out perfectly good food. And quite probably make for a boring meal. 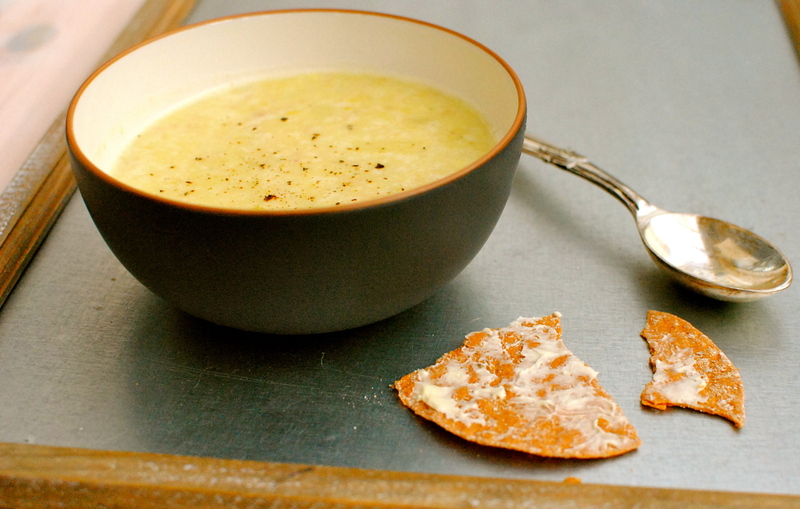 Your scrumptious soup is a perfect example of a great meal from leftovers, well done! I’m guessing that by now you have not even a single drop of this remaining. It looks absolutely beautiful! Could have done with some today after getting both soaked and frozen to the bone first thing in the morning and not being able to feel warm since. I am sending through a virtual bowlful of this soup. Hope you re home and dry, so to speak. Much better today, got in from our walk and then fell asleep with Danté by my side. We have a houseguest at the moment – a tortoise. Providing much curiosity and entertainment for his nibbs. Much better thank you 🙂 Yes today is lovely, Danté is currently sound asleep on the armchair after running around non-stop in the mud. He had to have a few lie downs while out because he was exhausted. He has had a little sniff at the tortoise and nosed him a couple of times but otherwise isn’t that bothered. He rather likes standing up and looking into the cage to watch what the tortoise is doing…in all honesty I think Danté is a bit of a wimp and is kinda scared of our lovely visitor! Quick, hearty, warming and a nice blend of flavors … sounds like the perfect Boxing Day snack. Hope you had a good one, and a great Christmas. I hope you approve of the approach to leftovers. Happy New Year when it comes. Are those seriously potatoes? Because they look gorgeous!! And anything with mustard is a friend of mine. Yum! 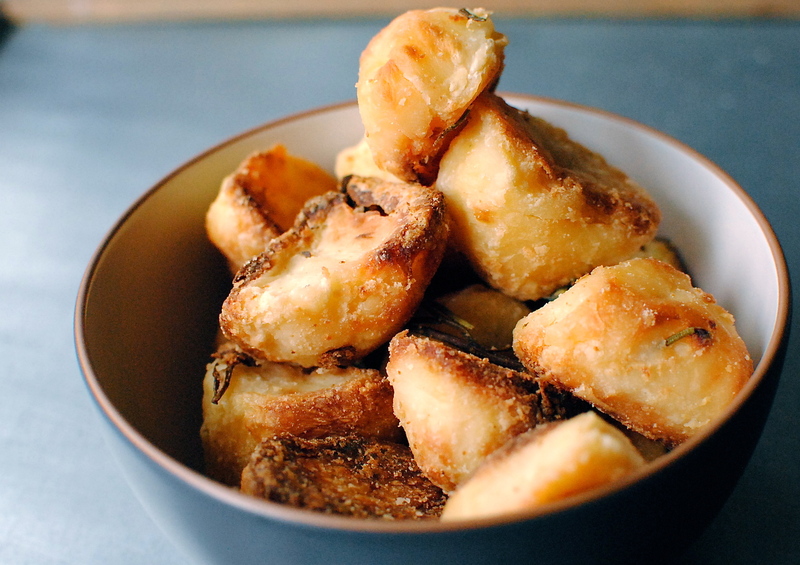 Yup, cold roasted potatoes. And we love Dijon mustard so much we went through a new jar in three days! Aw, Shuhan this is just as nice (but not as smug) with fresh ingredients rather than fridge-raid stuff. Happy almost-New Year to you. I made this today using all “new” ingredients and it was just as easy. Best of all, Tripp has had THREE bowl fulls – a true test! He said to tell Aunt Kellie it was deeelicious.